The Blue House Ohakune is a warm inviting "home away from home" set up to cater for all your holiday and skiing needs. Facilities include TV, a drying room and ski waxing/storing shed. Great for two families - three bedrooms and two bathrooms. 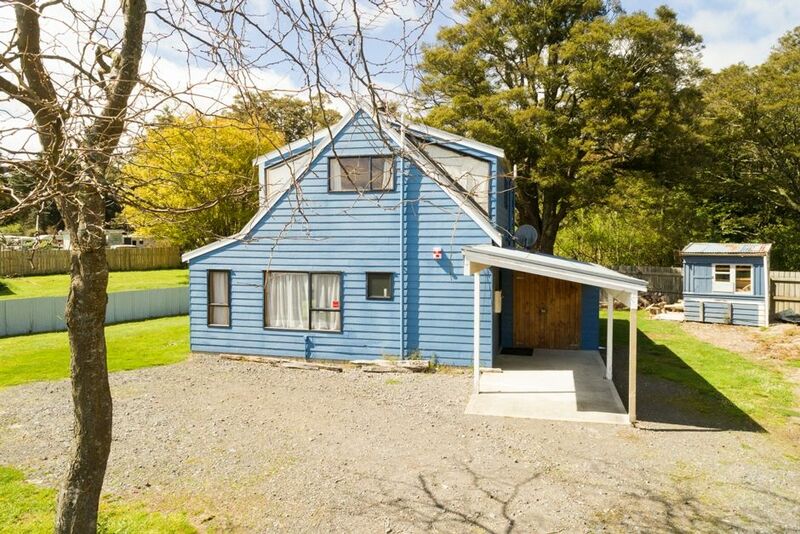 Only five minutes walk from town's shops and cafes yet tucked away on a private fenced site with awesome mountain views and the peaceful sound of a stream in your ears. Two night minimum stay at any time of the year. $330per night on weekends . $280 night on weekdays during the ski season. We also charge $70for cleaning after your stay and a $50 administration fee. Great location with view of mountain, cosy and everything you need. Really enjoyed our stay. The house was clean and warm and had everything we needed. Larry & Judy Cross C.
Comfortable stay. Very convenient. Loved the fire and the drying room. The house was perfectly suited for the weekend and we were very lucky to get it for that particular weekend . It just worked out really well. Its so well situated and everything is so available .